The Canadian Football League team acquired the former Heisman Trophy from the Hamilton Tiger-Cats in a blockbuster trade Sunday. “I look forward to reuniting with Johnny again and working with him,” first-year Montreal coach Mike Sherman, the former Green Bay coach and GM who lured Manziel to College Station, told the Montreal Gazette. Montreal also got offensive linemen Tony Washington and Landon Rice from the Tiger-Cats for defensive end Jamaal Westerman, wide receiver Chris Williams and first-round draft picks in 2020 and 2021. The Alouettes made the move a day after starting quarterback Drew Willy sustained his second injury of the season. Montreal backup Jeff Mathews also is out with a foot injury, leaving third-stringer Matt Shiltz to play the final three quarters Saturday night in a 25-8 loss at Calgary. Making a comeback after being released by the Cleveland Browns in March 2016, Manziel was unable to get on the field in Hamilton behind starter Jeremiah Masoli. In two preseason games, the former Texas &M star was 21 of 32 for 168 yards and a touchdown. 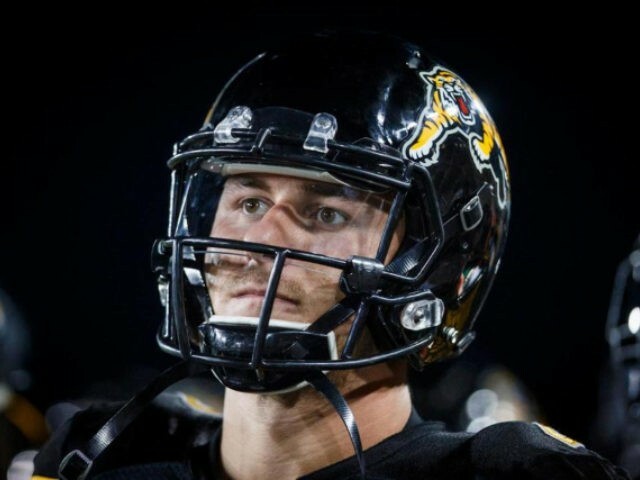 “Professional salute & respect for @Ticats @ticatmitchell &Coach Jones for doing the rgt thing.Thank y’all for the opp &great luck in future!” Manziel’s agent, Erik Burkhardt, tweeted Sunday night. Montreal (1-4) hosts Edmonton on Thursday night. The Alouettes have scored a CFL-low 69 points and allowed a league-high 148.